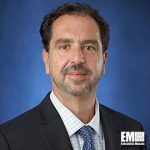 Gus Bontzos, formerly vice president and general manager of Peraton’s former advanced solutions organization, has been appointed president of the Herndon, Virginia-based company’s defense and electronic warfare sector. The defense and electronic warfare is one of the two newly established sectors that will serve as Peraton’s research-and-development center and support work with Defense Department laboratories, Intelligence Advanced Research Projects Agency and the Defense Advanced Research Projects Agency, the company said Thursday. 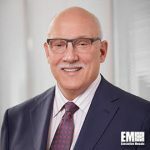 Bontzos’ appointment came a week after the company named Roger Mason, former senior VP of national security and intelligence business at Noblis, as president of the newly formed space, intelligence and cyber sector that will cover Peraton’s current programs with NASA. Bontzos will oversee the sector’s growth strategies, program implementation and technology investment portfolio in his new role. Prior to Peraton, he held senior leadership roles at Harris (NYSE: HRS), Exelis and ITT. Peraton CEO Stu Shea said the formation of new business sectors and appointments aim to reflect the company’s focus as it works to meet clients’ mission requirements and seek opportunities across the emerging warfighting domains. Peraton also announced the establishment of two business units – homeland security and communications – with plans to make leadership appointments at a later date. The homeland security unit will focus on mission and technology integration services in support of the departments of Homeland Security, State and Veterans Affairs and defense health and will help advance strategic growth across logistics, border and aviation security as well as intelligence, surveillance and reconnaissance focus areas. The communications unit will help expand Peraton’s presence in the government satellite and terrestrial communications markets and support the company’s defense, intelligence, civil and commercial clients. Peraton officially launched in July 2017 after Veritas Capital completed its acquisition of Harris’ government IT services business in April.